The extraction performance test compares the predicted (theoretical) underpressure in the piping system against measurements on site. 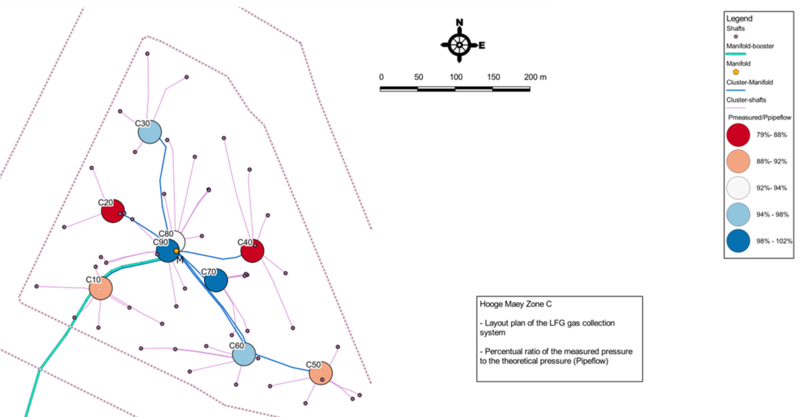 Above example sohows that 6 clusters are within 90 % range of the predicted underpressure. Two clusters are within 80 % range.